Market researchers frequently use linear regression models to perform critical analyses. These models examine how a predictor, such as a sudden increase in income, may determine an outcome, such as the likelihood that someone will donate to charity. Some sophisticated models even include interactions that show how the relationship between a predictor and an outcome vary over some key feature such as a customer’s annual salary. The problem with this approach is that the relationship between a predictor and an outcome is assumed to be linear. Customer behavior is not always that simple. 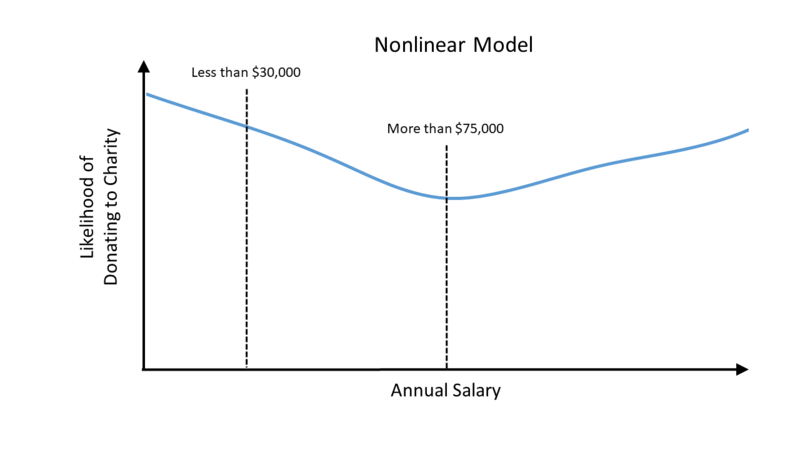 By using nonlinear models, it is possible to gain a more accurate picture of whether someone will donate to charity after a sudden increase in their salary. 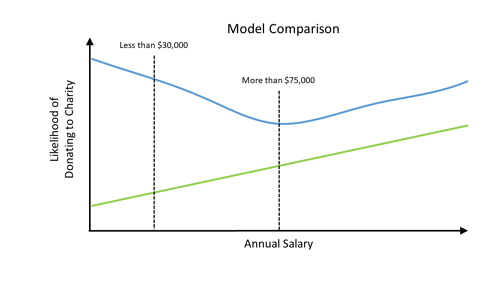 A comparison between the two models reveals how linear models may conceal valuable information. Nonlinear models help you hear the voice of the customer more clearly. 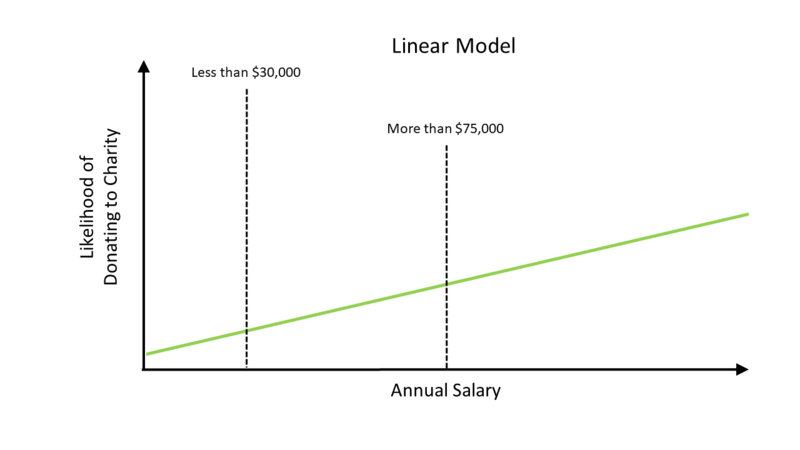 Find out more about how nonlinear models can help your business. Who knows what valuable secrets lie hidden in the data? Hastie T, Tibshirani R. Varying-coefficient models. Journal of the Royal Statistical Society, Series B. 1993; 55:757–779. Hoover DR, Rice JA, Wu CO, Yang LP. Nonparametric smoothing estimates of time-varying coefficient models with longitudinal data. Biometrika. 1998; 85:809–822.